VANCOUVER, BC – R&B Brewing has looked toward the sunny south to get inspiration for a new uniquely flavoured seasonal brew. 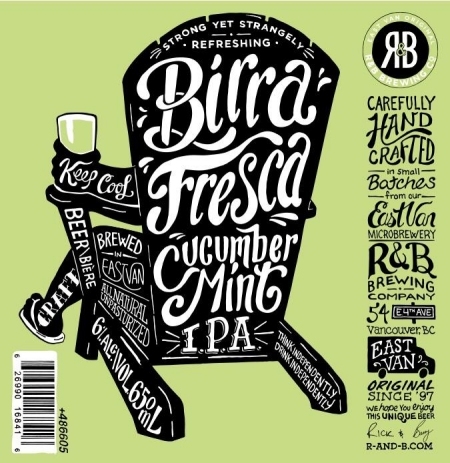 Based on R&B’s Hoppelganger IPA, Birra Fresca is a 6% abv and 50 IBU IPA made using more than 200 organic cucumbers that were sourced locally along with the mint. Birra Fresca went on sale last Friday at the R&B retail store, and is limited to 80 cases of 12 x 650 ml bottles.